Hi, Gamers, Seeing lot of funny and wonderful gamer-tags (summoner name) especially in the League of Legends I thought of writing this article on my idea of choosing the gamer-tag. Below tips are my suggestion and you might have completely different idea on it. 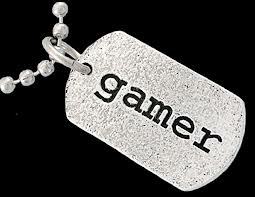 Gamer tag should represent you and it should have something that relates to the real you. As an example, I know a summoner (in League of Legends) with summoner name “nashpaw”. His real name was W.P.A. Shan (his full name) which jumbled in to his summoner name. It should be very uncommon. I suggest you to play all games under one game tag as I do. For that, it should be wildly available in all games and gaming forums. Therefor do not pick a very common name just because it was available in one game. Best way to find out is though a Google search, If nothing comes up that’s great. Make it global. You might use some other language than English than your mother tongue; It is ok to use a gamer name with your language, but make sure it don’t feel ugly in English. If you are interested in blogging and streaming your games, check whether you name is available as a tube channel name and as a domain. If it is well established and taken in most networks you might need to think of some changes. As an example I am using “Agnilam” form my childhood. When I started plying LOL in NA I got to know it is already taken, so I have to move to “IamAgnilam” just for that server. When you do a change, it is always good to put “Iam” in front. Alternatively, try replacing letters that gives you similar sound, Ex: agnilam – agnil@m, agήilam, etc. If the name is case sensitive, try capitalizing several letters. Hope this helped in picking your gamer tag, Will meet you another article! !